Labour matters in the UAE are governed by Federal Law No. 8 of 1980 Regulating Labour Relations as amended by Federal Laws No. 24 of 1981, No.15 of 1985 and No.12 of 1986 (the “Law”). There are special labour related regulations applicable in some of the free zones in the UAE, such as the Jebel Ali Free Zone. municipalities, public bodies, federal and local public institutions and those staff and workers employed in federal and local governmental projects. Members of the armed forces, police and security units. Ministry of Labour and Social Affairs (the “Ministry”), as outlined below. 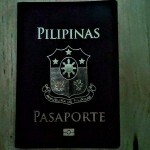 For immigration purposes therefore, a foreign partner will be sponsored by the entity he is a partner in, as an investor rather than as an employee and will deal with the immigration authorities directly rather than through the Labour Office, provided that his name is on the business entity’s licence and subject to a minimum investment requirement in the entity. However, if the partner holds an employee position additional to his partner status, he will be considered as an employee for the work he is doing in the company. On the other hand, employees working on a commission basis are considered as employees even if they are partners in the entity they are working for. Although the Law stipulates that all employees other than the ones listed above are subject to it, in practice employees in the free zones, such as the Jebel Ali Free Zone and the Dubai Airport Free Zone, are subject to the rules and regulations of the free zone concerned and maintain their own employment contracts. However, as mentioned above, the Law will still apply and the provisions in the employment contract must be in accordance with the Law. Moreover, it should be noted that free zone employees are sponsored by the relevant free zones and not by their employers. Such employees are seconded by the free zones to companies established in the free zones in return for, amongst other things, a bank guarantee which is required to secure the employees’ dues and any end of service benefits which may be payable on termination of their employment contracts. However, although the free zones are technically the employees’ sponsor, the employees do maintain their right of action against their employers before the courts. In addition, as will be discussed in section 19 below, when a new business is established it has to be registered with the Ministry prior to the employment of staff.. The free zones authority sponsoring the employees, refer directly to the immigration authorities and not to the Ministry. 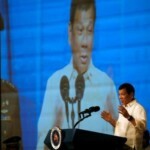 This is not to say that disputes between employees and their employers in the free zones will not first be heard at the Ministry. The Ministry may entertain such claims and there is nothing as yet under UAE law precluding that unless the Free Zone Authority has a special ordinance governing the relationship between employee and employer. 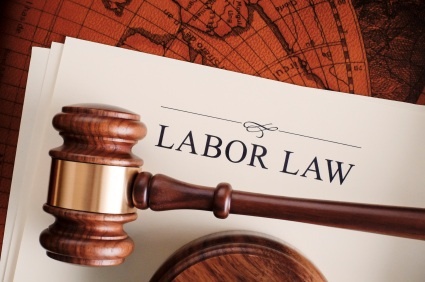 The Law covers all aspects of the employer-employee relationship (Chapter 12), including matters related to employment contracts, restrictions on the employment of juveniles and women, maintenance of records and files, wages, working hours, leave, safety and protection of employees, medical and social care, codes of discipline, termination of employment contracts, end of service benefits, compensation for occupational diseases, labour inspections, penalties and employment related accidents, injuries and death. The UAE does not allow the formation of trade unions. By whom is the Law enforced? The Law is federal and is therefore applicable to all the emirates of the federation. It is enforced by the Ministry. Labour related litigation is adjudicated by the federal and local courts of the UAE, however, all disputes relating to labour matters must first be referred to the Ministry. If either of the parties involved (employer or employee) is unhappy with the Ministry’s decision and the matter cannot be settled amicably, the dispute may then be referred by the Ministry to court, within two weeks from the date in which the complaint was filed, after which either party may revert to the court directly. What are the primary pre-requisites for employment? In order to employ any expatriate employee in the UAE, an application must be made to the Ministry. 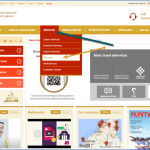 The application has to be approved by the Ministry prior to the employee entering the UAE. It should be noted that new businesses are required to register or open a file with the Ministry before they can employ staff (as will be discussed in section 19). 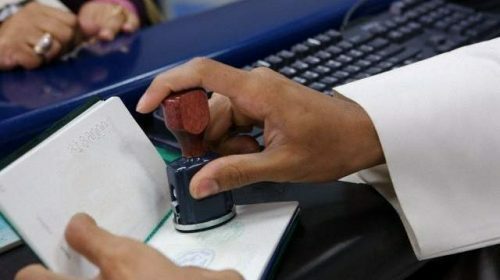 In addition to obtaining the Ministry’s approval to employ non-UAE nationals, certain immigration procedures need to be followed as explained below. There is also a requirement for certain employers to submit to the Ministry a bank guarantee as security for end of services benefits and repatriation costs related to their employees. This procedure is also applicable to employers in most of the free zones in the UAE. Where the intended employee is a UAE national, an employment contract may be entered into at any time. Employment contracts for non-nationals must be drawn in the format approved by the Ministry on an application made by the employer. Employment contracts for national employees need not, however, be in writing and the terms and conditions of employment may be proved by any means of proof admissible by law. 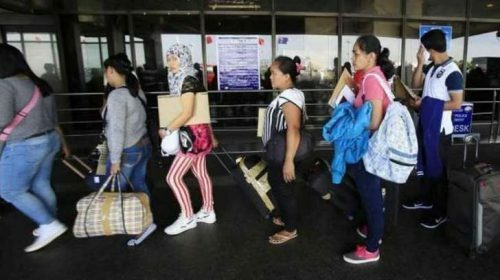 A labour permit for an expatriate employee will not be issued by the Ministry unless a formal written labour contract is filed with the Ministry. Two types of employment contracts are allowed in the UAE – limited employment contracts or fixed term contracts, which are contracts for a specified duration with specific commencement and completion dates, and unlimited contracts where the employee continues to work for the employer from a specific date until such time as the employment contract is terminated by either party after giving prior notice. It has a commencement and completion date. Its term cannot be in excess of a period of 4 years. It can, however, be renewed through mutual consent, express or implied for a similar or lesser period. The employment will terminate at the end of the contract period, unless renewed by mutual consent. If the employer terminates the contract for reasons other than those specified in Article 120 of the Law (see p.25 below), he will be liable to pay compensation to the employee. This compensation is determined on the basis of the wages due for a period of three months or for the remaining period of the contract, whichever is less, unless an article in the contract states otherwise. The contract provides a commencement date but no completion date. A contract will be considered “unlimited” if: (i) it is an oral contract; (ii) it is not for a specified period; (iii) it was for a specified period but the parties continued to act on its terms and conditions after its expiry, without any written contract specifying the completion date; (iv) the purpose of the employment is to complete work not estimated within a specified time-frame; or (v) it is by its nature renewable and the contract continues after the work agreed upon is completed. The contract may be terminated by mutual agreement or by either of the parties providing the other with a minimum of 30 days’ notice of termination. The contract may be terminated for a justified cause at any time on giving at least 30 days notice of termination. The notice period may be less for employees working on a daily basis. The notice period may be extended for a period exceeding 30 days. It would then not be acceptable for the parties to waive this notice period.??? The employee’s wages during the notice period should be paid in full for the entire notice period served. In the event that no notice has been given, the party who ought to have given the notice must compensate the other with the payment of at least 30 days wage in lieu of the notice period. If the employee violates one of the provisions of Article 120 of the Law, the employer may terminate the employee’s contract without notice. The employee may terminate the employment contract without notice if the circumstances listed in Article 121 of the Law are applicable. The employee will be entitled to compensation if the termination of the contract was for an unjustified cause. The court may award the employee damages against the employer, provided that the damages awarded do not exceed three month’s wages, as calculated on the basis of the last wage paid to the employee. Compensation for damages, if any, awarded to the employee for unreasonable dismissal are without prejudice to the employee’s entitlement to end of service gratuity and payments in lieu of notice, if notice had not been properly given. Date of the employment contract. Date of commencement of the employment contract. Nature of the contract (limited or unlimited). Duration of the contract (for fixed term contracts). 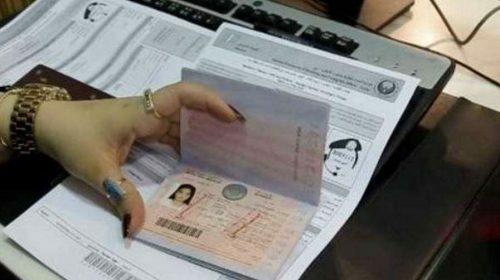 The labour office at the Ministry maintains standard employment contracts in Arabic and English, where the employer and the employee need only fill in the blanks. It is however not compulsory for the parties to use or file these contracts at the Ministry and may instead draft and lodge their own employment contracts at the Ministry providing they do not contain provisions which are contrary to the Law and are in the Arabic language. What are the rules regarding employment for a probationary period? It is common practice in the UAE to employ persons on an initial probationary period. During the probation period, both the employer and the employee may terminate the employment contract with immediate effect without providing a valid reason or notice. In such cases, the employer will not be liable to pay end of service benefits or compensation to the employee. According to Article 37 of the Law, the probation period can be for a maximum period of six months. Once completed, the probation period is considered as part of the overall employment term and is taken into account when calculating gratuity and other terminal benefits. All wages and benefits accrued during the probation period must be paid along with repatriation costs. The employer is, however, not required to pay end of service gratuity or compensation in lieu of notice or damages should the employment contract be terminated without notice during the probationary period. If the employee, however, resigns during his probation period without a good cause he is liable to pay his own repatriation cost. The parties to the contract may agree to commence employment without probation as it is not compulsory under the Law. Further, it is left to the discretion of the parties to agree upon the actual term of the probationary period subject to a maximum of six months. “All payments made to the worker on a yearly, monthly, weekly, daily, piece work, or production, or commission basis, in return for the work he performs under the contract of employment, whether such payments are made in cash or in kind. The term “basic wage” is an employee’s wage excluding all allowances of whatever nature and is specified in the labour contract as such. Total wage on the other hand, is an employee’s wage inclusive of all allowances provided such as accommodation and travel allowances. Basic wage is significant when calculating end-of-service gratuity, which is determined on the basis of an employee’s last basic wage received as opposed to the employee’s total wage received. The employer/ministry will calculate gratuity on the basis of the basic wage, which as mentioned above excludes housing, transportation and any allowance. However, recent case law has demonstrated that the Courts support the position that commission supplements an employee’s basic salary, if it is specified in the employee’s employment contract. 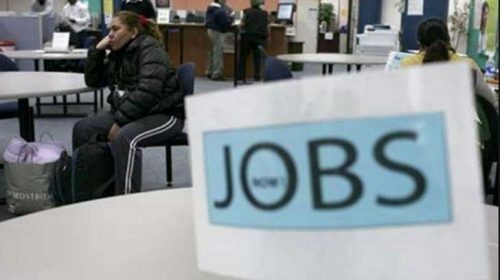 No minimum wage has been prescribed by law to date, however, an employee with a monthly salary of less than Dhs.4,000 (plus accommodation allowance), will not be able to sponsor his spouse or children for the purpose of residing in the country. These are immigration regulations and do not form part of the Law. 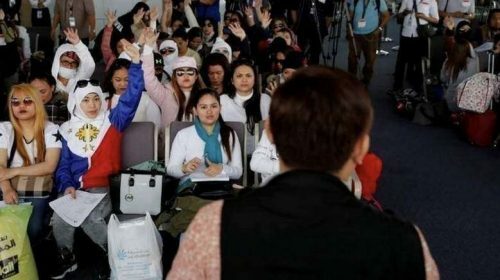 In addition, in order to sponsor a house-maid or domestic help in the UAE there is a minimum basic wage requirement of Dhs.6,000 per month. Wages may be paid on a monthly, weekly, or daily basis. The parties may mutually agree on the manner in which wages are paid or remitted. 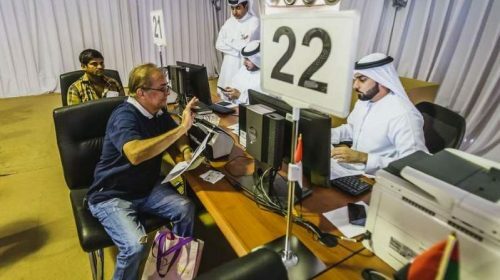 Wages may be paid in the UAE or elsewhere. Wages may be paid in any currency and the parties may agree on the actual currency paid. Although this is the situation in practice, the Law does however stipulate that wages should be paid in the national currency. 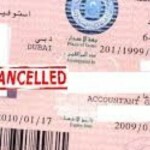 Neither the Law nor any other law in the United Arab Emirates restricts repatriation or transfer of monies. Where there is a dispute, an employer will be required to prove written evidence that the employee has been paid his wages along with any applicable allowances. However, the employee can prove the non-payment of wages by any means stated in the UAE Federal Law of Evidence. Therefore, it is necessary for the employer to maintain adequate records and books recording the payment of wages and allowances, failing which there may be an assumption that the wages were not paid. (a) A birth certificate or age estimation certificate issued by a specialised physician certified by the concerned health authorities. (b) A certificate of physical fitness for the nature of the proposed work, issued by a specialised physician certified by the concerned authorities. (c) Written consent from the juvenile’s guardian. (a) At night in an industrial undertaking. (b) In hazardous jobs or in work which is harmful to health. (c) Where working hours exceed six hours per day (one or more breaks must be provided within the stipulated six hours). (d) Working overtime under any circumstances or to remain at the place of work after working hours. (b) Employees in technical and administrative positions. (c) Health workers in health services and other jobs as determined by the Ministry, provided female employees do not usually perform manual labour. It is also prohibited to employ women in hazardous or difficult work and other duties harmful to health or morals, or in other jobs as may be specified by the Ministry. The maximum prescribed working hours for an adult employee is eight hours per day or forty-eight hours per week. However, the working hours may be increased to nine hours per day in the case of persons employed in trades, hotels, cafeterias, and as guards. Persons who hold executive/administration positions however are expected to work long hours without overtime pay. The time traveling to and from work is not included in the calculation of working hours. Employees may not work for more than five consecutive hours per day without breaks for rest, meals and prayer. However, the resting and the meal breaks are not included in calculating working hours. In factories, where people work day and night shifts or jobs where, for technical and economical reasons, continued attendance is required, the Ministry specifies the manner in which employees may take intervals for rest, prayer and meals. If the nature of the job requires an employee to work overtime, the employee is entitled to overtime pay which is equivalent to the wage paid during ordinary working hours plus an additional amount of not less than 25% of the wage for the over time period. However, if the employee’s overtime falls between the hours of 9.00pm and 4.00am, he will be entitled to overtime pay which is equivalent to the salary payable during normal working hours plus an increase of not less than 50% of his wage for the overtime period worked. If circumstances require the employee to work on a Friday, he is entitled to receive a rest day in lieu to be taken at a later date or be paid his basic wage plus an additional 50% (minimum) of that wage. However, employees cannot be asked to work two consecutive Fridays unless their wages are calculated on a daily basis. In any case, overtime should not exceed two hours per day, unless it is necessary to prevent substantial loss, a serious accident or to remove traces of such an accident or reduce its effect. Persons in senior positions, or in administrative supervisory roles, if such persons have similar authority over employeesas the employer. Crews of naval ships and marine employees who enjoy special privileges because of the nature of their work. This does not include port employees engaged in loading and unloading and other related work. 1. Two days leave for every month if his service is more than six months and less than one year. annual leave for the fraction of the last year he spent in service. in the normal working month exclusive of any bonuses received. The employer has the right to determine when an employee is allowed to take his annual leave and whether (if required) he is entitled to divide the leave into two parts. If however, work circumstances require keeping the employee at work during the whole or part of his annual leave and the leave has not been carried over for the following year, the employer should pay the employee his wage in addition to a leave allowance for the days he worked equal to his basic wage. In all cases, no employee should be required to work during his annual leave more than once during two consecutive years. In other words, the employer may only defer the annual leave once in two consecutive years and at the same time pay the employee the annual leave wages. The employee should be paid his full wage before taking his annual leave, plus the wage of the leave days he has accrued. The employee is entitled to payment of his wages for the annual leave period not taken if his employment is terminated, or he resigns after serving the period of notice determined by law. Such payment is calculated on the basic wage received at the time the leave was due including any housing or accommodation allowance where applicable. Some employers also include transportation allowance in the calculation, although this is discretionary rather than compulsory. Nevertheless, according to judgments delivered on the matter, an employee may only claim remuneration for the annual leave not taken for the last two years of employment at the rate of the wages paid during that time. Any leave days not taken prior to that period are therefore time barred and the employee is precluded from claiming remuneration against them (providing the employer relies on this time bar provision in the event of a claim). The employer must give the employee once during his employment a special leave without pay to go for Haj (pilgrimage) which should not exceed 30 days. This period is not part of the employee’s annual leave or any other leave which he is entitled to. Which official holidays are an employee entitled to take? The holidays listed above are applicable to all employees whether they are working in the public or private sectors. However, public sector employees may be granted additional days off to those specified on the above occasions, which are announced from time to time. It is therefore open to private sector employees to grant their employees a holiday on the above occasions or to pay them instead. The date(s) on which the above official holidays fall depend on the Ministry’s announcements, which are published in the local newspapers shortly before they occur. The calculation of the duration of annual leave includes holidays specified by law or by agreement, or any day taken for example due to sickness, if they fall within the leave period and are deemed to be part thereof. Is the employee entitled to sick leave? The employee must report to the employer any injuries or illnesses preventing him from working within a maximum period of two days. (1) Full wage for the first 15 days. (2) Half wage for the next 30 days. (3) Any following period will be without wage. However, if the employee’s illness is directly caused by his misconduct (for example by excessive drinking), he is not entitled to any wages during the sick leave. It should be noted that the employee should provide evidence of his illness warranting sick leave by an official medical certificate. Can the employee resign from employment during the sick leave period? The employee may resign from employment during the sick leave period and before the completion of 45 days specified by law, provided the reason of resignation is approved by a physician. In this situation, the employer must pay the employee all the wages he is entitled to, until the end of the 45 days referred to above. Can the employer dismiss an employee from service during his sick or annual leave? The employer may not dismiss an employee from service during his sick leave or annual leave. During this period any notice for termination will be considered null and void. However, the employer is entitled to terminate the employment contract if the employee has exhausted his full sick leave and is not fit to return to work. In such cases, the employee will be entitled to his full gratuity and end of service entitlement in accordance with the Law. Furthermore, the employee will not be entitled to wages for the days that he has not reported to work after the end of his leave (whether sick leave or annual leave). This will not prejudice the rights of the employer to terminate the employee’s contract if the employee fails to report back to work within seven consecutive days from the date he was due back. What maternity leave is a female employee entitled to? At the end of the maternity leave, a working woman has the right to extend her maternity leave for a maximum period of l0 days without pay. This unpaid leave can be continuous or interrupted, if the interruption is caused by illness which prevents her from coming to work. The illness must be confirmed by a certified government physician licenced by the competent health authority. What types of records must be kept by the employer? There are different conditions stipulated under the Law vis a vis the maintenance of records by employers. These primarily depend on the number of employees employed as outlined below. (1) Keep a file for every employee detailing his name, trade or profession, age, nationality, place of residence, marital status, date of commencement of service, wage and any change in it, vacation, illness and injuries, the date of termination of service and the reason for termination. (2) A “leave card” for every employee which should be kept on file and divided into three sections for annual leave, sick leave and other leave. The employee or anyone acting on his behalf should note on the card all leave taken by the employee for future reference. (1) A record of payroll listing the employees’ names according to the date of their recruitment along with the daily, weekly or monthly wages, allowances or payments for piece work, commission payments as well as lengths of service and job termination dates. (2) A record for work injuries listing work injuries or occupational diseases established immediately after the employer is informed. (3) The basic rules and regulations for work should be displayed in a permanent, visible place, at the work site showing the basic regulations for work including working hours, weekly holidays, official holidays, and the necessary safety precautions to avoid work hazards and fire dangers. The implementation of these regulations and any amendments thereto must be sanctioned by the Ministry within 30 days from the date of submission. (4) The business’ regulations relating to disciplinary measures must be permanently displayed in the place of work. This must outline measures which may be taken against those who violate the regulations. The implementation of these regulations and the amendments thereto must be sanctioned by the Ministry within 30 days from the date of submission. What are the safety regulations and measures required by the Law? Every employer should provide his employees with suitable means of protection against: injuries, occupational diseases, fire and hazards which may result from the use of machinery and other equipment in the workplace. The employer shall also apply all the other precautionary measures specified by the Ministry of Labour and Social Affairs. The employee, however, must use the safety equipment and clothes given to him for this purpose. He shall also follow his employer’s instructions which aim to protect him from danger. Every employer shall display in a permanent and prominent place at the work site detailed instructions regarding the means of preventing fire and the means of protection of employees from hazards to which they may be exposed to during work. These instructions shall be in Arabic and if necessary another language understood by the employees. Every employer shall make available a first aid kit or kits containing medicines, bandages and other first aid material as directed by the Ministry. Every employer must ensure the workplace is kept clean and well ventilated. Each employee should have adequate lighting and rest rooms, and be provided with suitable drinking water. An employer shall assign one or more physicians to examine thoroughly those of his employees who are exposed to the possibility of contracting one of the occupational diseases listed in the schedule attached to the Law (see Schedule 1 below). At least once every six months “at risk” employees should be examined and results recorded on their files. The employer shall provide its employees with the means of medical care to the standard determined by the Ministry in consultation with the Ministry of Health. The employer or his deputy shall inform the employee of the dangers of his job and the means of protection that he must take. He shall also display detailed written safety instructions at the work premises. No employer, deputy, or any person with authority over employees shall bring or allow others to bring any kind of alcoholic drinks for consumption on work premises. He shall also prohibit any person to enter or remain in the establishment while intoxicated. Means for entertainment and sports activities. There are also additional health and safety regulations employers must adhere to which are stipulated in various laws. For instance, those involved in the industrial sector or the free zones in the UAE will be subject to such regulation. Contracting companies are subject to Municipality rules. The Public Safety Unit of the Environmental Protection and Safety Section in the Environment Department of Dubai Municipality provide the procedures for protection and Safety at building construction sites. What is the nature of the disciplinary code in the Law? Suspension from work with a decrease in wages for not more than 10 days. The prevention or postponement of periodic allowances in establishments where such allowances exist. The deprivation of promotions in establishments where promotions exist. Termination of service without prejudice to the payment of all end of service benefits. Termination of service and the forfeiture of all or some of his gratuity. This punishment cannot be imposed for any reason other than those mentioned in Article 120 of the Law. The Ministry should be advised with regard to any of the above-mentioned measures being imposed. What is the maximum fine an employer can impose on his employee? A fine may be a fixed sum of money or an amount equivalent to the employee’s wage for a certain period. A fine for one violation can not exceed five day’s wages, and in any one month total fines can not exceed an amount equivalent to five day’s wages. If a fine is imposed, who should keep the money deducted from the employee’s wages? A fine imposed on an employee should be entered into a special register which states the reason or the circumstances involved, the name of the employee concerned and his wage. A special account should be kept for these fines, the monthly total of which should be spent on the social welfare of all employees of the business. How often and for what length of time can an employer deprive an employee of periodic allowances or promotions? Any punishment depriving an employee of his periodic incentives may not be imposed more than once within one year. In addition, an employee’s incentives should not be postponed for more than six months. Furthermore, no employee should be deprived of more than one promotion. The punished employee should be promoted in the first succeeding opportunity if he satisfies the necessary conditions. What are the limitations and the conditions required by the Law pertaining to the use of disciplinary codes? No disciplinary action can be taken against an employee as a result of something he committed outside the place of work, unless it is related to work, the employer or the manager in charge of the work. No more than one punishment can be imposed for one violation. A disciplinary punishment cannot be accompanied with a deduction of part of the employee’s wages. None of the punishments detailed above can be imposed on an employee unless he is informed of his violation in writing and given a chance to defend himself. His statement and defence should be noted and written in his file, and the punishment imposed should be detailed. An employee must be informed in writing of the punishment imposed on him, stating its type and amount and the reason for the punishment. No employee can be accused of an offence after the lapse of 30 days of its discovery. In addition, no disciplinary action can be imposed after the lapse of 60 days from the end of the investigation regarding the violation and the confirmation of its occurrence. The Ministry should be informed of the violation in writing. Under what conditions can an employer suspend an employee from work? An employee may be temporarily suspended from work when he is accused of committing a deliberate crime such as physical assault, property damage, a financial crime, crimes of honour or going on strike. The suspension should take effect from the date the concerned authority is informed of the incident until a decision is taken by them regarding the incident. Further, an employee is not entitled to his wages during the suspension period. If the verdict relieves the employee from standing trial or acquits him, he should be reinstated in his work and given his full wage for the whole of the suspension period. Therefore, it is always advisable to take and record the minutes of meetings held with employees, which should be signed by both parties and submitted to the Ministry when necessary. What is considered as a work accident? A work accident is an accident which has been suffered by an employee at his place of work or while travelling to or from his place of work. What is the procedure for reporting labour accidents and occupational diseases? If the employee suffers a work related accident or an occupational disease, the employer or his representative must report the accident immediately to the police and the Ministry or one of its branches under whose jurisdiction the place of work falls. The information should include the employee’s name, profession, address, nationality, a brief description of the incident and its circumstances, and the medical measures or treatment provided. Would the employer be prosecuted for an accident or an injury to an employee? Upon receiving the information from the employer, the police should perform the necessary investigations and state in their report the testimony taken from any witnesses, the employer or his representative, and the injured person if his condition allows him to testify. The report should specifically state whether or not the accident was work related, whether it took place intentionally, or as a result of misbehavior on the part of the employee. If the report concludes that one of the employer’s personnel or managers were at fault or negligent, they may be prosecuted in a criminal court for the act or omission if such an act or omission amounts to a crime. Would the employer be liable for compensation? In case of work accidents and occupational diseases, the employer should undertake to pay the cost of the employee’s treatment in a government or private clinic until the employee recovers or his disability becomes certain. However, an employee cannot demand to be treated in a specific clinic or in a clinic outside the UAE. The treatment includes hospital and sanitary fees and costs of surgical operations, small-rays and laboratories fees in addition to the cost of medication and rehabilitation equipment and artificial parts for those whose disability is proven. The employer must also pay the travel expenses needed for the employee’s treatment. What would the employer pay if the employee were not able to perform his work after the accident? If the injury prevents the employee from performing his job duties, the employer should pay him a grant equivalent to his wage during the treatment period or for six months, whichever is less. If the treatment takes more than six months, then the grant can be reduced by half for an additional six months or until the employee recovers, his disability becomes certain or in the event of his death, whichever comes first. How much would the employer pay the employee during his treatment? The financial grant made by the employer is calculated on the basis of the last wage the employee was paid in respect of those who are paid monthly, weekly, daily or hourly, and on the basis of the average wage for those who are paid on a piece work basis. Would the employee be entitled to compensation for permanent/partial disability other than his wages? The employee will not be entitled to claim compensation from the employer other than for his wages and compensation for his permanent/partial disability according to the ratios stated in List No. 2 of the Law (Schedule 2 below), and multiplied by the value of death compensation described in the preceding paragraph. This is, of course, without prejudice to the employee’s rights to claim compensation against any third parties who may have participated in causing the accident or the disability suffered by the employee. Is the employee’s family entitled to claim compensation? The employee’s family is not entitled to claim compensation unless the accident caused the death of the employee or his permanent disability. The compensation payable is equivalent to the basic wage of the employee for a period of two months. The compensation payable is subject to a minimum of Dhs. 18,000 and a maximum of Dhs.35,000. It is calculated on the basis of the last wage the employee was paid before his death and divided among the inheritors according to the rules contained in List No. 3 of the Law which is provided in Schedule 3 below. Who will be considered as the heirs of the employee in terms of receiving compensation? Children who are: sons under 17, and those under 24 who are enrolled as regular students in an institution of learning, and sons who are physically or mentally unable to earn their living. The word “son” includes sons of the husband or the wife who were under the care of the deceased employee at the time of his death. Unmarried girls, including unmarried daughters of the husband or the wife who were under the care of the deceased employee at the time of the death. Brothers and sisters according to the conditions set for sons and daughters. It is also possible for the heirs of the deceased to file a civil action under tort against a person who has caused injury or death to the employee under the general provisions of tort, if the act was a tortious one. Before commencing an action, the supporting documentation such as the statement from the police must be submitted with the Statement of Claim. Would deliberate self-injury by the employee entitle him to receive compensation or sick leave? If it were evidenced in a report provided by the Ministry or the police that the employee had intentionally caused the injury in order to receive compensation or medical leave, then the employee will not be entitled to either compensation or sick leave, and would be liable to face criminal charges. When can a contract of employment be terminated? 1. If the two parties agree to cancel the contract, provided that the employee consents to this in writing. 2. If the contract term has come to an end, unless the contract has been explicitly or implicitly extended according to the rules of the Law. 3. By one of the parties where the contract has an unspecified term, provided that the parties observe the provisions of the Law referred to previously regarding notice and the acceptable reasons to cancel the contract without prejudice. Would an employment contract be terminated by the death of the employer or the disability of the employee? An employer’s death does not constitute the termination of a labour contract, unless the subject of the contract is related to him personally. However, the contract will be terminated upon an employee’s total disability (without prejudice to his end of service benefits). However, if the employee’s disability is partial and he is able to perform other work which suits his health, the employer should transfer the employee to such other work if the employee so requests, and should give him wages equal to those paid for similar work. Under what circumstances can an employer terminate the employment contract without notice and with immediate effect? If the employee assumes a personality or a nationality other than his own, or has submitted fake documents or certificates. If the employee was appointed under probation and the termination happened during that period or at its end. If the employee commits a mistake causing the employer a substantial financial loss, provided the employer informs the Ministry of the incident within 48 hours. If the employee violates instructions relating to safety in the place of work, provided those instructions were written and displayed in a permanent place, and the employee has been informed of these instructions orally if he is illiterate. 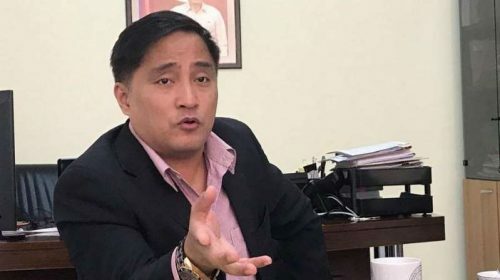 If the employee fails to carry out his basic duties as stated in the contract and continues to do so in spite of a written interrogation and a warning that his service will be terminated if he repeats his misconduct. If he discloses a secret of the establishment for whom he is working. If he is conclusively convicted by the concerned court of a crime involving honour, honesty and public morals. If he is found drunk or intoxicated by drugs during working hours. If he commits a physical assault on the employer or manager or one of his colleagues during work. If he becomes absent without a legitimate reason for more than 20 intermittent days or more than seven continuous days within one year. Can an employee terminate a contract without notice? 1. If the employer has not fulfilled his obligation towards him as provided in the contract or in the Law, for instance where an employer does not pay his employee his wages on time. 2. If he is assaulted by the employer or his legal representative. Would changes in the structure of a business or its ownership constitute a termination of an employment contract? If there is a change in the structure of a business or its ownership, any contract valid during the time the change is made will remain valid and the service considered continuous. Both the previous and the new employer are jointly responsible for six months from the date of the alteration in executing the obligations relating to the contract of the employee in the period prior to the change. After the end of this six-month period, the new employer is solely responsible for the employees of the business. Can an employee, after the termination of his contract, be employed by another employer in the UAE? If the nature of the position held by the employee allows him to know his employer’s clients or the trade secrets of the employer, the employer may stipulate in the contract that after the end of his contract, the employee shall not compete with him or share in any competing project. The employee has to be 21 years old at the time of signing the contract for this agreement to be legal. The agreement shall be as far as time, place and nature of work are concerned limited to what is necessary to protect the legal interests of the employer. However, if there is no agreement to the contrary, an expatriate employee may work for a new employer provided that his profession is listed in one of the categories exempted from the automatic six month or one-year ban provisions outlined below. According to the 1999 amendment to the Law, certain employers are required to submit to the Ministry a bank guarantee as security for end of service benefits and repatriation costs related to their employees. In the event of bankruptcy, the employer is required to encash the guarantee and provide to the employee. What are the civil/criminal responsibilities of an employer if his employee is on somebody else’s visa? 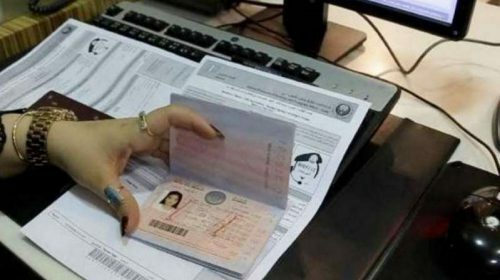 A fine of AED 10,000 will be imposed and the employer will be banned from employing additional employees or doing anything else in relation to immigration. The bar would be lifted once the Employer is no longer in violation of the Law. What employment ban provisions apply upon the termination of an employment contract? 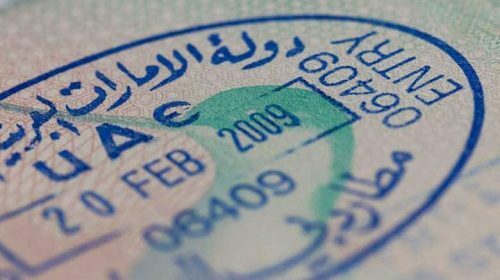 A one-year ban will be imposed (stamped) on an employee’s passport by the Immigration Department upon termination of employment if the employee violates the employment contract, the Law, or the labour regulations. 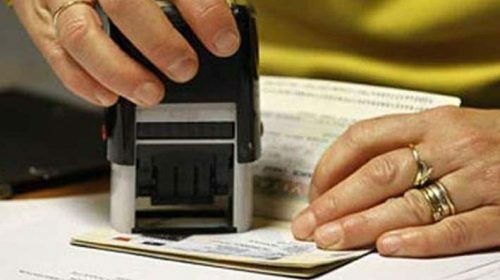 A six-month ban will be imposed (stamped) upon termination of employment on those who do not fall under one of the categories of professionals permitted to transfer their visas. A six- month ban is typical and a person who wishes to be reemployed must wait until the period of six months has passed. (b) Doctors, Pharmacists and Hospital Attendants. (e) Qualified Accountants and Auditors. (g) Technicians in scientific electronics and laboratories. (h) Drivers licensed to drive heavy transport vehicles and (buses). This is in case of transferring the sponsorship from a company or establishment to its counterpart or to any governmental body. (i) Employees of private oil companies are entitled to transfer their sponsorship from one company or establishment to its counterpart or to any governmental body. (d) The employee has obtained the consent of the sponsor to transfer his sponsorship to the new employer. (a) Where the transfer of employment is from one branch to another branch of the same company, establishment or a branch owned by the same employer. (b) Where the transfer of employment was due to the transfer of the ownership of the company, establishment or branch thereof to the ownership of another company, establishment or person. (c) Where the sponsor has breached his liabilities which resulted in the closing of the establishment. (d) Where a court judgment is delivered for the bankruptcy or winding and termination of activities of the establishment. (e) Where the original sponsor has died and his heirs do not intend to continue running the establishment. The above rules have been stipulated by Ministerial Decree No. 360 of 1997 To Issue the Executive Bylaw of the Federal Law No. (6) of 1973 Concerning the Entry and Residence of Expatriates. However, the Ministry or immigration, may, at their own discretion, grant exceptions. Which acts would result in the termination of an employment contract, and result in the employee being banned from working in the UAE for one year? The following acts by the employee would render the employee banned from working in the UAE for a year. The employee works with another employer full/part time at the same time as working for his original employer. These sanctions would only be applied if a complaint was filed by the employer requesting such. Following the termination of his employment contract, when should an employee cancel his dependent’s visas? Upon termination of his employment contract, an employee has to apply for the cancellation of his dependent’s visas (spouse, children & domestic help) before his employer submits an application for the cancellation of his visa. This is not necessary in the event of a transfer of sponsorship. Is the employer obliged to give an end of service certificate at the end of the employee’s service? the total service period, the nature of work carried out by the employee, his last wage and any allowances, if applicable. The employer should also return to the employee all materials deposited with him, such as certificates, papers, instruments etc. Who bears the repatriation expenses of employees? At the end of the contract the employer is responsible for the repatriation expenses of the employee to the place of recruitment or to any other place which the two parties have agreed upon.. If the employee obtains employment with another employer in the UAE, then, the new employer is responsible for repatriation expenses at the end of his service. However, if the employee is responsible for terminating the contract, he is responsible for his repatriation costs, if he has sufficient means. Does the repatriation of the employee mean that the employer has to also pay for furniture and family members? If the employer has paid for the travelling expenses of the employee, his family and furniture or such provisions as stipulated in the contract, the employer will then have to pay for the family and the furniture and any expenses incurred therewith. However, if at the time the contract commenced there was no agreement on payment of family repatriation costs or furniture shipment costs, and the employer did not pay for these at the commencement of the contract, the employer will not be liable to pay the same, unless the rules within the establishment specify otherwise. When does the employee have to vacate his accommodation if it is provided to him by the employer? (b) End of service benefits and other entitlements as provided in the terms of the employment contract or the regulations of the establishment. Where there is a dispute between the employer and the employee, the Ministry must make a recommendation within 2 weeks from the date the complaint is filed, and inform the employee of the amount recommended as payable. In such cases, the 30 day period will commence from the date the employee deposits the said amount. In a situation where the premises are not vacated, the Ministry will order the eviction of the premises with the assistance of the local police in the emirate concerned. This is without prejudice to the employee’s right to challenge the amount recommended by the Ministry in court. The Ministry’s decisions can be appealed to the court by either party. If a dispute is pending or is not resolved and there was no recommended amount for payment or deposit, the employee is entitled to stay in the premises until the dispute is resolved or a judgment delivered if the matter is being litigated. Payments equivalent to the balance of unutilized leave or any part thereof. (1) 21 days wages for each year of the first five years. (2) 30 days wages for each additional year on condition that the total of the gratuity does not exceed the wages of two years. Gratuity is calculated on an annual basis or part thereof provided that the employee has actually completed one year of employment with the employer or more. Days of absence from work without pay are not included in calculating the length of service. However, he will be entitled to end of service gratuity for fractions of a year he spent in service provided that he has completed at least one year in continuous employment. Without prejudice to what is stipulated by the policies of some establishments in the granting of pensions or retirement benefits to employees, gratuity for those who are paid monthly, weekly or daily wages is calculated according to the employee’s last received basic wage before the employment was terminated. This wage is the basis for calculating the gratuity for the whole period of an employee’s employment. 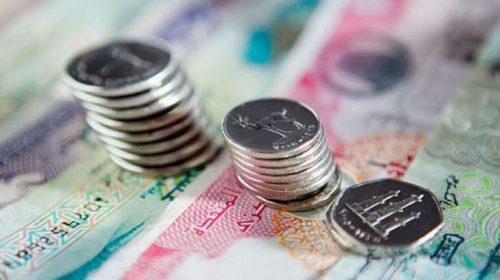 According to a court ruling delivered by the UAE court, except for allowances and bonuses, any amount payable to an employee as wages including wages paid by percentage basis, commissions, or for performance will be considered as wage and will be taken into consideration in calculating gratuity. According to the UAE law, employees who were working prior to the date the Law came into force will not be entitled to gratuity for the period preceding the Law. This is without prejudice to any entitlements or payments they were entitled to under other laws or regulations applicable. However, gratuity for those employees under the Law is calculated thereafter on the date the Law came into force. The employer may deduct any amount owed to him by the employee such as outstanding loans from the employees end of the service gratuity. If there is any dispute over the payment of gratuity or the amount of gratuity payable, the matter should be referred to the Ministry for mediation. An employee employed under a contract for an unlimited period who resigns after a continuous service of not less than one year and not more than three years is entitled to one third of the end of service gratuity provided above. If the period of continuous service is more than three years and less than five years he is entitled to two thirds of the gratuity. If his continuous service is more than five years, he is entitled to the full gratuity. If an employee who is employed under a contract for a limited period on the other hand chooses to resign before the end ofthe contract, he is not entitled to end of service gratuity unless his continuous service exceeds five years. An employee may be deprived of his end of service gratuity if he has been dismissed for one of the reasons stated in Article 120 of the Law, or if he terminated his employment to avoid such dismissal. Under what circumstances will an employee be entitled to gratuity if he terminates his employment contract without notice? (1) The employer has failed to comply with his obligations towards the employee, as provided for in the employment contract or in the Law. (2) The employee was assaulted by his employer or his legal representative. The above applies to employees who have been continuously employed for a minimum period of one year, regardless of whether the contract of employment is for a fixed or unlimited term. If the establishment or company has a pension scheme, which is beneficial to the employee, is this a substitution for the payment of gratuity? If the employer has a pension scheme applicable to all the employees of the business, such a scheme must be published and known to all employees, and must specify that it will be a substitute to the gratuity rules outlined in the Law. It must also be more beneficial to the employees than the gratuity provision of the Law. Otherwise the employee may benefit from both unless the employee agreed or consented to the scheme in question. The Pensions & Social Securities Law, Federal Law No. (7) of 1999, concerns UAE nationals employed in both the public and private sectors. It provides, amongst other things, for certain contributions to be made by the employee and the employer to the Public Authority of Pensions and Social securities. For a person employed in the public sector these contributions are equivalent to 5% of the contributory pension salary to be paid by the employee and 15% of the contributory pension salary payable by the employer. As for the private sector, the government shall bear 2.5% of the 15% share payable by the employer as contributions to the Authority. The Pensions & Social Services Law also provides for the amount to be paid as a pension to eligible UAE nationals on reaching the retirement age of 60, or disability pension in the case of an employee becoming disabled and unable to work. It further covers the amount of pension payable to beneficiaries on the demise of a secured person. The employer and the employee may, upon mutual agreement, decide upon the payment of the employee’s gratuity for the years that he has already served his employer. A new contract will then be entered into between the parties. The employee’s employment with the employer is still considered as a continuous period for the purpose of calculating interest, or, at the time when he resigns, calculating the employee’s total years of service with the employer. Where an employee has worked for an employer in two or more countries, will he be entitled to gratuity? This will depend on a number of factors such as the terms of the employment contract, the law of the country the employment is being conducted in and the general practice of the employer. For instance, many multinationals which transfer their employees to another country pay the end of service benefits applicable at the time of transfer. In such cases, the transfer isessentially considered as new employment for the purposes of gratuity payments. The matter will however depend on the facts of each case as it is not covered by the Law but rather is addressed in certain judgments. Therefore, it should not be assumed that if an employee is transferred to another country that the UAE law will continue to apply or that his employment contract will continue to be enforced. The Law is considered as a matter of public policy and thus certain cases may be different in other jurisdictions. In addition, the country the employee is being transferred to may contain different regulations regarding the transfer of employees to and from other jurisdictions. Therefore, the law of the country the employee is transferred to may prevail and give regard (or otherwise) to the employee’s previous employment contract. In such cases therefore it is advisable to seek independent advice on the matter. It is also not possible to apply a foreign law to a UAE employment contract. If the governing law in the employment contact is UAE law and filed with the Ministry, then gratuity will be calculated from the commencement date of that contract. This contract will take precedence over any other contract with a foreign governing law. It is possible to mortgage or assign payment of an employee’s gratuity to the employer or to a third party by mutual agreement, provided that in the agreement with a third party, the employer and the employee agree to this in writing with an understanding of all parties that the employee may forfeit his right to gratuity which is not yet due if he violates a provision of the Law. In any event, an employee’s gratuity can only be assigned subject to the employee becoming entitled to it. When does gratuity become due and payable? Gratuity will only become due and payable on the termination of an employment contract. The employee’s wages, overtime, and any other benefits, including end of service gratuity, are considered to be a preferential debt for which the employee shall have a lien over any movable or immovable property owned by the employer ranking second to government charges, judicial fees and family alimony payments. In case of a dispute between the employee and the employer, how can either of them proceed with a case? 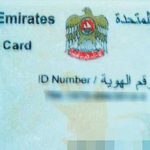 Where there is a dispute between the employee and the employer, an application must be made to the Ministry in the emirate in which the employer’s establishment is located. The complaint must be submitted in writing to the complaints department at the Ministry, setting out a summary of the facts, calculation of the amount due, and enclosing a copy of the labour contract. The application will be filed with the Ministry upon payment of AED.100 registration fee. The employer or the employee will be summoned to state teir respective cases before the labour office at the Ministry who must make a recommendation within two weeks from the date in which the application is filed. Should the party fail to settle the dispute as recommended by the Ministry, the matter will then have to be referred to court to be litigated in the normal manner. In such a case, the Ministry will issue a summary of the facts of the case, and a memorandum together with its recommendation, and the arguments put forward by both parties. Within three days from the date the application is received, the court will schedule a hearing and summon the other party to hear the matter. Such contracts are enforceable and valid as contracts executed in the UAE. However, if there is an additional local contract and a dispute arises, the provisions in the contract which are more favorable to the employee will probably be upheld, providing there is evidence in support of the provision in question. In terms of the gratuity payable, where there are two contracts, the employee may only benefit from one. The enforceable contract will in most cases be the one filed with the Ministry and gratuity calculated according to the salary specified in the UAE employment contract. A complaint by either the employer or the employee must be made to the labour office within one year from the date in which the amount or the entitlement becomes due otherwise it will be time bared. In other words, the one-year time period does not start running from the date of termination, but rather from the date the amount becomes due and unpaid. In calculating time according to the Law, the Gregorian calendar is used. Years are calculated as 365 days and months as 30 days. However, filing an action before the Ministry will suspend the time from running. If the Ministry fails to transfer the case to court within two weeks, the employee may then proceed to court without referral from the Ministry . Employees are exempt from paying court fees. This exemption also applies if an appeal is filed at the court of appeal. However, should a matter fail to be settled at the Ministry, an employer who elects to proceed with court action must pay court fees, which are normally based on a percentage of the amount in dispute. The Law provides slightly different provisions regarding claims made by a number of employees of the same establishment who file a complaint against their employer. It may take longer to be settled at the Ministry and the Ministry may form a committee to settle such disputes. Is the Ministry or any other competent authority entitled to inspect establishments or commercial entities established in the UAE? The Labour Inspection Department at the Ministry and the personnel employed therein may undertake labour inspections at any establishments or commercial entities, and have been given the power to do so by the Law. The inspector however shouldcarry an identification card issued by the Ministry, and is entitled to enter premises for inspection. Employers and their agents should present the labour inspectors with all the necessary facilities and information to perform their duties and should consent to any summons to appear before them, or should send a delegate to appear on their behalf if they are required to do so. (2) Providing employers and employees with the information and technical guidance that will enable them to adopt the best means for the enforcement of the provisions of the Law. (3) Informing the concerned authority of any loop-holes which the enforcement provisions fail to remedy and recommending any necessary steps. (4) Recording incidents where the provisions of the Law and the regulations have been violated. (1) Enter any establishment that is subject to the provisions of the Law at any time during the day or night without prior notice, provided that such entry is made during working hours. (2) Conduct any test or investigation that may be necessary to ascertain the proper enforcement of the Law. (3) Question employees or the employer, examine all records which have to be kept under the provision of the Law, take asample or samples of materials used or handled in industrial activities, and ascertain that notices and pamphlets required to be displayed at the work site are in accordance with the provisions of the Law. Poisoning by lead and its compounds : Any work involving the use or handling of lead or compounds containing lead. Poisoning by mercury and its compounds: Any work involving the use or handling of mercury or its compounds or materials containing mercury, and any work involving exposure to the dust or gases of mercury or of its compounds or materials containing mercury. Poisoning by arsenic and its compounds: Any work involving the use or handling of arsenic or its compounds or materials containing arsenic, and any work involving exposure to the dust and gases of arsenic or of its compounds or materials containing arsenic. Poisoning by antimony and its compounds: Any work involving the use or handling of compounds antimony, its compounds or materials containing antimony and any work involving exposure to the dust and gases of antimony or of its compounds. Poisoning by phosphorous and its compounds:Any work involving the use or handling of compounds phosphorus, its compounds or materials containing phosphorous and any work involving exposure to the dust or gases of phosphorus or of its compounds or materials containing phosphorus. Poisoning by petroleum, its derivatives and compounds: Any work involving the handling or use of compounds and byproducts petroleum, its derivatives and compounds and any work involving exposure to their dust or gases. Poisoning by manganese and its compounds: Any work involving the use or handling of compounds manganese, its compounds or materials containing manganese, and any work involving exposure to the gases or dust of manganese or of its compounds and any products containing manganese. 8 Poisoning by sulphur and its compounds: Any work involving the use or handling of sulphur, its compounds or materials containing sulphur, and any work involving exposure to gases or dust of sulphur or its compound alloys. Poisoning by petroleum, its compounds: Any work involving the handling or use of by-products and compounds. petroleum, its gases or by-products and any work involving exposure to such substances, whether in solid, liquid or gas state. Poisoning by chloroform or carbon tetrachloride: Any work involving the use or handling of carbon tetrachloride chloroform or carbon tetrachloride and any work involving exposure to their gases, or to any gases containing such substance. Diseases resulting from radium or other radio-active substances (X-ray): Any work involving exposure to radium or to radio-active substances (X-ray) any radio-active materials or X-ray. Chronic diseases of the skin and burns: Any work involving the use or handling of or of the skin and the eyes. Transfer of tar carbon, tar machines, mineral oil, kerosene orcement flour and similar materials such as dust and the components and by-products or deposits of such items. Injuries of the eyes by heat and light: Any work involving frequent or continued and their complications. Exposure to light, heat or rays from molten glass or from heated or melted metals, or exposure to strong light and intense heat as would result in damage to the eye or impairment of sight. Lung diseases resulting from silica dust, asbestos or other fines Any work involving exposure to newly-asbestos and cotton dust. generated dust of silica or substances containing more than 5% of silica such as work in mining, quarrying, stone cutting or grinding, working in a stone cement factory, glassing metals with sand or any other activity involving such exposure to asbestos or cotton dust to an extent that such diseases are caused. Anthrax: Any work involving contact with animals infected with this disease, or with their skins, horns and hair. Glanders: All works involving contacts with animals infected with this disease. Tuberculosis Work at hospitals for the treatment of this disease. 1. A permanent total disability in the functions of any organ or part of the body shall be considered as a complete loss tothat part or organ. 2. If the injured person was left handed, all compensation for injuries of the left hand shall be considered as if they were for the right hand. 3. In the case of deformation or unnatural change to any organ or part of the body or any of the senses not mentioned in the list, the rate of disability shall be estimated by the Medical Board provided in Article (148) of this Law which shall take into consideration similar cases in the list. The widow (or widower) shall take one eighth and if there is more than one widow (or widower), the one eighth shall be divided equally among them, the parents shall take one third divided equally between them, but if either of the parents is dead then the mother shall take one sixth, and the father shall take one third and the rest for the offspring. If there are no children, the widow (or widower) shall take two thirds of the compensation (to be divided equally among them if there are more than one) and the father shall take the remainder. In cases where both parents are living they shall share that remainder equally. If both parents are dead, the widow (or widower) shall have one eighth of the compensation (to be divided equally among them if there is more than one widow) and the offspring shall get whatever remains. In cases where there are no children and no living parent, the widow (or widower) shall take the whole compensation. If there is more than one widow, the compensation shall be divided equally among them. If there exists one or both of the parents and a child who were supported by a deceased employee who left behind no widow, the child shall take two thirds and the remaining third shall go to the parent or parents, who take equal shares. In the absence of a widow (or widower), parents, brothers and sisters, the compensation shall be distributed equally among the children of the deceased. If there is only one child, he shall be paid the whole compensation. If there are only parents, who were under his care, in the absence of a widow (or widower) and children, the compensation shall be divided equally between the parents. If there is only one, he or she shall take the whole compensation. Brothers and sisters who were supported by the employee at the time of his death shall be treated in the absence of parents, as parents. Which types of employment contracts are allowed in the UAE that can be favor to employee– limited employment contracts or fixed term contracts, which are contracts for a specified duration with specific commencement and completion dates, and unlimited contracts where the employee continues to work for the employer from a specific date until such time as the employment contract is terminated by either party after giving prior notice.